I know you are all freaking out over the fantastic releases of today. I mean White Hot Kiss by Jennifer L. Armentrout and Fire and Blood by Victoria Scott?? In the same day? That’s a lot to take in. (Also, I’m missing just a few releases, but yay for them as well). So while you’re taking it all in, I decided I’ll throw some more logs on the fire and share my first ever excerpt from Falling by Design. I wanted to share some Brooklynn/Dakota love because I adore these two and their friendship. I know you all been patiently waiting so here it is! “So, Grayson is back,” she states popping up on the other side of the rack and I stifle a yell. She grins, her beautiful face shining with excitement. “I feel like we had this conversation already,” I reply sidestepping her. “Nowhere,” she smiles innocently, running her hands over the sheer bathing suit cover up in front of her. “Dakota.” My voice carries a tad of warning. “Is not. And stop that, we’re not seven,” I say, grabbing fabric out of her hands and placing it back on the rack. Ah! 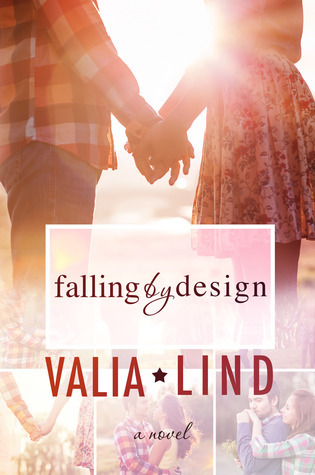 Guys, it’s only 14 days till Falling by Design is free in the world. That’s two weeks. 14 DAYS!!!!!! By the way, I have some exciting things in store for you during release week, so make sure to keep your eyes open. I love this, of course. I can't wait for everyone else to love it too.